Wesleyan University Press, 9780819566768, 397pp. Women's contributions to science fiction over the past century have been lasting and important, but critical work in the field has only just begun to explore its full range. Justine Larbalestier has collected 11 key stories--many of them not easily found, and all of them powerful and provocative--and sets them alongside 11 new essays, written by top scholars and critics, that explore the stories' contexts, meanings, and theoretical implications. The resulting dialogue is one of enormous significance to critical scholarship in science fiction, and to understanding the role of feminism in its development. Organized chronologically, this anthology creates a new canon of feminist science fiction and examines the theory that addresses it. 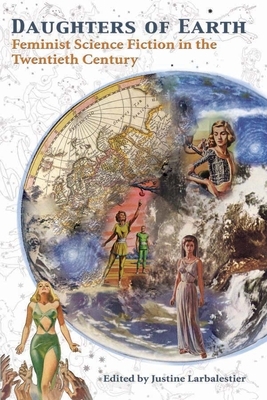 Daughters of Earth is an ideal overview for students and general readers. Justine Larbalestier is the author of The Battle of the Sexes in Science Fiction (2002) and the young adult novel Magic or Madness (2005), and an honorary associate in the School of English, Art History, Film and Media at the University of Sydney. She makes extended visits to New York City.